Step 1 Add coconut flour, whisked eggs and shredded coconut to three separate dishes. Step 2 Take your shrimp and dredge them, that is: coat in coconut flour first, then the egg wash and finally, coat well in the shredded coconut. Step 3 Heat coconut oil in a sauté pan over medium heat. Step 4 Once the pan is hot, add shrimp and cook until flesh is opaque and shredded coconut is golden brown and delicious. I want to serve this dish with a sweet and sour sauce, but I haven't developed one yet. If you have any ideas or know of a delicious sauce, please share it with us! 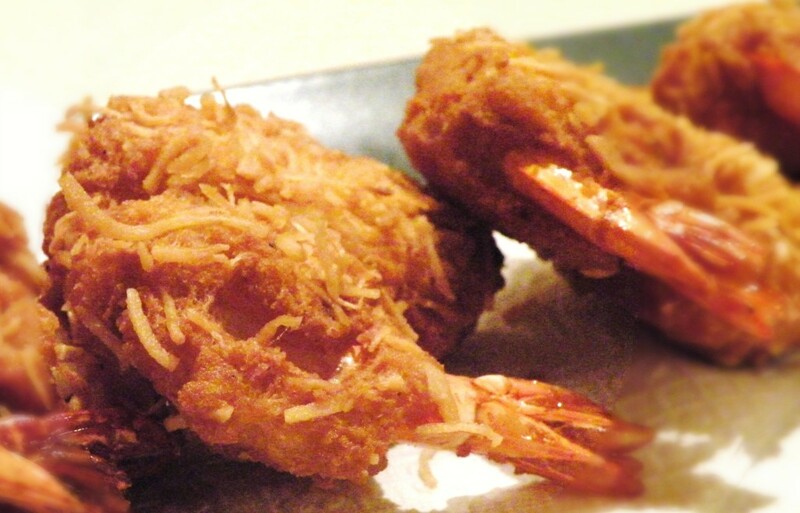 6 Responses to "Paleo Coconut Shrimp"
I'm going to make these tonight, I don't have coconut flour, but I do have gluten free flour that will work. Where can I buy coconut flour that isn't outrageously expensive?